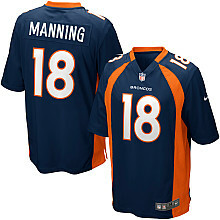 The alternate navy Game jersey features the name MANNING and the number 18. 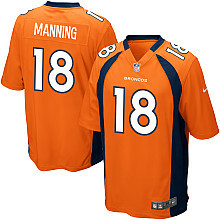 The orange and navy Game jersey features the name MANNING and the number 18. 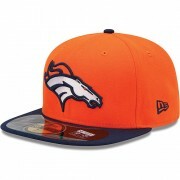 Team logo on the front, a stitched New Era® flag on the left, NFL® Shield on the back. The mini-sized, 6¼-in x 9½-in clock shows the time, date and temperature.